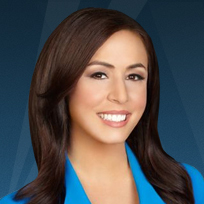 Andrea Tantaros is a co-host of the hit show "The Five," weekdays at 5 p.m. ET on Fox News Channel and is the host of the nationally syndicated radio show, "The Andrea Tantaros Show." The Washington Times has called her "the most pragmatic personality on 'The Five'... who has already had a lifetime of experience despite only being in her 30s. Andrea's calm, yet reasoned personality mixed with a quick tongue and biting sense of humor make her a powerful presence." Tantaros has hard-won experience in radio, as a syndicated columnist for the NY Daily News, on campaigns and on Capitol Hill. In her career she has served in senior communications roles on a number of high-profile political campaigns including Communications Director for former Massachusetts Governor Bill Weld where she led the media operation against Weld opponent, former New York Attorney General Eliot Spitzer. Tantaros is also credited with helping former National Republican Congressional Committee Chairman Thomas Reynolds secure a narrow re-election victory during the scandal-plagued 2006 election cycle. Prior to that, Tantaros worked on Capitol Hill where she served as press secretary to Republican leadership in the U.S. House of Representatives. During her time with House leadership, Tantaros was responsible for helping craft and execute the media strategy for the Republican majority. Tantaros also worked at CNN's "Crossfire," for former Reagan pollster Richard Wirthlin, and as deputy press secretary to former Congressman Patrick Toomey. Before Fox News recruited her, Tantaros served as a vice president at a public affairs firm in Manhattan where she advised Fortune 500 corporations on crisis management and media strategy. "Andrea was fabulous! She energized our participants. She is a true patriot American and someone we would like to have back."